Tohoku (North Eastern Japan) offers unspoiled rural landscapes throughout the year. Dive into the beauty of Tohoku with this whole new brochure. Hirosaki have the most beautiful cherry blossoms and the best apples in Japan. Located in Aomori prefecture,Tohoku area,Japan. The Tohoku Expressway Pass is a special service that allows unlimited use of Tohoku expressways through the ETC system at a flat rate! Visit Hakodate and Tohoku region by shinkansen (bullet train)! Information about JR Rail passes is also included. 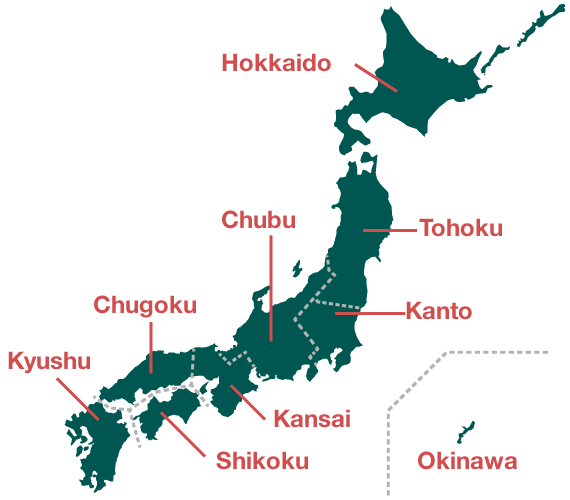 Discover tourist farms throughout Japan by location or fruits type using our website. This handbook is designed to help you better communicate in Japan using English. When you need help, just show this to to a Japanese person, and he/she should be able to answer your questions! We rent WiFi Router, Cellphone, and SmartPhone. You can pick up wherever you want. Our WiFi is up to 10 devices so you can share with travel companies. Enjoy your stay in Japan with PuPuRu WiFi. Tokyu Hotels was founded in January 2001 and since then have established a vast nationwide network of optimal access, with 46 urban sites comprising over 12,400 guestrooms. Seasonal tours, activities, admission tickets and more! Make the most of your time in Japan with this brochure! Enjoy experiencing Japanese daily life at "ItoYokado"
You can buy everything from popular products to products only available in Japan. Use your short stay efficiently and enjoy shopping at Ito Yokado. Find something new and exciting at our store.